The Asian Patent Lawyer’s Annual 2018 has been published. 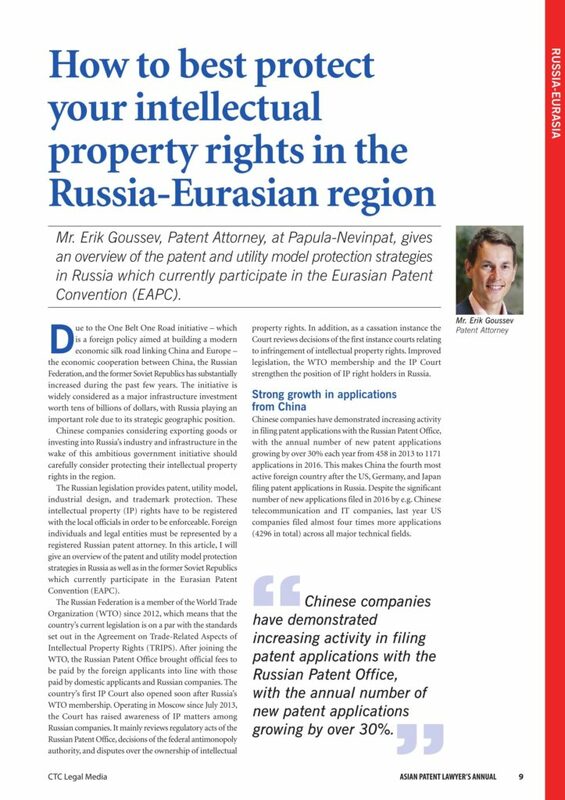 Our patent attorney Erik Goussev has written an article about how to best protect IP rights in the Russia-Eurasia region. The whole article (on pages 9-11) and magazine can be read online here.